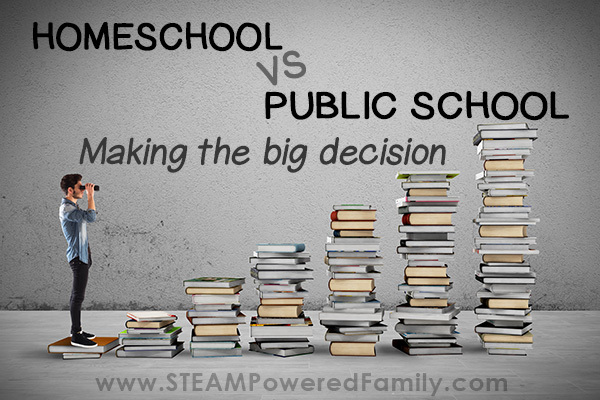 Homeschool vs public school, it’s a debate I went through a million times 5 years ago. Eventually, I felt there was no option except to homeschool my out of the box kids. But now things have changed. I don’t often post these more personal stories anymore, but I felt this part of our schooling journey is something many of my readers may be able to relate to. I hope our story can help a few other families who may be struggling. Five years ago we were really struggling. Our school situation was toxic. My oldest was struggling with severe anxiety, OCD and self harming activities at only 7 years old. I had been trying to work with the school system since grade 1, when the issues started. The school refused to help. In grade 2 he was placed with a horrific teacher that would scream and yell, and had very questionable ideals and practices. That year taught my son some horrible things about the school system. Grade 3 we moved to half time homeschool, half time public school. It lasted until March when we finally moved to full time homeschool. At the same time, my youngest, precious son who survived so much childhood trauma, was facing some severe bullying and racist attacks… in Kindergarten! The teacher refused to address it. He came home too, on the advice of our psychologist. We spent too many years helping my son heal from trauma to have the school system destroy him. During this time I also underwent heart surgery and was dealing with a lot of complications and health issues. So on top of the big change of homeschooling, I was struggling to heal and cope with my health. Plus, I needed to find a new career that would allow me to homeschool the children, take care of my health, and keep my sanity (and that is how STEAM Powered Family came to be!). For us the decision to homeschool over public school was not easy. In fact, I feel to this day that it wasn’t really a decision. We were in a very toxic situation. I wanted school to be a wonderful experience for my children and I fought for years, bringing in our psychologist to advise and work with the administration and teachers, nothing worked. And the ones paying the biggest price were my children. They were falling apart in front of me. If my children were grown adults and struggling that much in a severely toxic work environment, I would have been advising them over and over to find a new job. Since a new school was not possible in our area, it was time to take the leap and start homeschooling. And it was good. We started seeing healing immediately in the kids. My oldest still struggles with anxiety, but the OCD and self harm disappeared in just a couple of months. My children have blossomed over the years with homeschooling. Their ability to learn is astounding. They have been able to chase their passions and grow into these amazing people who are more confident and sure of who they are. But there has been a downside to homeschooling that has progressively become more and more damaging over the years. Yup, the big socialization complaint that is often thrown around when discussing homeschooling. As much as my kids have made friends in their numerous programs and activities. The community is so small, and in general so extremely religious, that our secular, science loving children have failed to make any deep connections and friendships. They really miss having close friends. Kids they can just hang out with, outside of structured activities. Where they can play and have fun. Plus my oldest is struggling to chase his film making passion. When it comes to making films, you can only make so many stop motion clips before you really need a few friends to join your crew and cast. I struggled with this. My son is learning so much and doing so well with homeschooling in every other way. He is studying high school science and history, writing novels and scripts, while we have been able to slowly nurture and help him through his math and dysgraphia struggles. Homeschooling has helped my son thrive with his 2e quirks, but the blackness of lack of friendships started weighing heavily on him. I had other homeschooling parents lecture me, saying it is up to the parent, not the child to decide whether they homeschool or go to public school. I’m sorry, but I find that so fundamentally wrong! It is extremely important that I let my kids make big decisions. Even the big, life altering, scary decisions. Because if they learn how to do those hard things now, while we are here to support them and guide them. And yes, even help pick up the pieces if things fall apart. Then when they are adults they will be able to confidently make decisions and know that making mistakes is OK. And how to deal with both success and failure. I see so many adults unable to cope with making decisions. They struggle with change. Have deep seated fears about failure and mistakes, so much so, they simply won’t make a decision. They spend most of their lives stuck in a rut. Feeling like they have no control over their lives because they are unable to make the big decisions. I don’t want my children to have those fears and struggles. At the end of the day, this is their life. They need to be the captain of their own destiny. I’m simply a part of their crew, helping them on the journey. Now and always. I want them to know that to the core of their being, from a very early age, that I am their biggest supporter and champion, but they are in charge of their own journey. I can’t do that for them. No one else controls their life. They make their decisions, plot their courses. And at the end of the day, own their own successes and failures. So this fall my oldest son is entering middle school and he will be doing it at a public school. The school looks promising. It has drama and film production courses, plus so many other programs and opportunities. Opportunities he would never have in our homeschooling community. Will there be downsides to public school. Absolutely. No decision is ever easy or 100% perfect. And that is another lesson my children need to learn. My son is excited. He can’t wait to go back. We have spent 5 years preparing him through homeschooling, and he has embraced his decision with a maturity that makes me smile with tears in my eyes. He is growing up into an amazing man. My youngest, well he has made the decision to stay homeschooling for a little longer. And that is the perfect choice for him right now. Why? Because he made that choice. He wants more time learning at his own pace. Needs more time to chase his passions and interests. To find out who he is and where he belongs. And that is perfect for him. 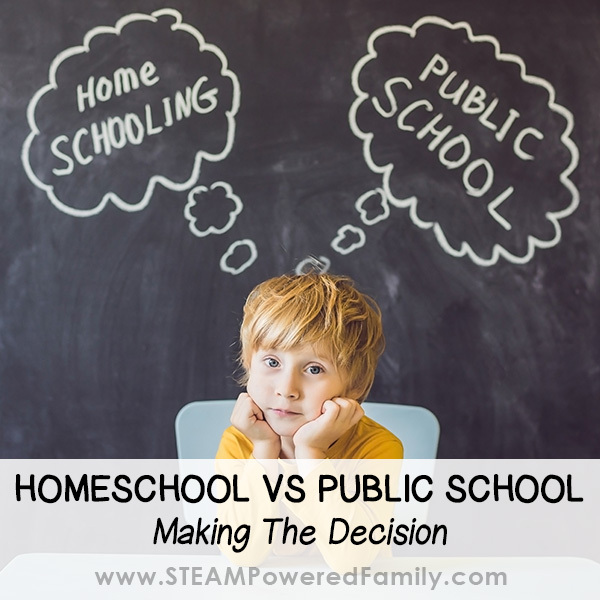 When it came to homeschool vs public school, I am glad we are able to give them that choice. Many families are not in a position to offer homeschooling as an option. For our family, it has provided us with amazing opportunities and experiences. Most of all, it has provided my children with the chance to grow up and find themselves. To become confident young men who will grow into amazing men. And to take their life journey where ever they decide to go. 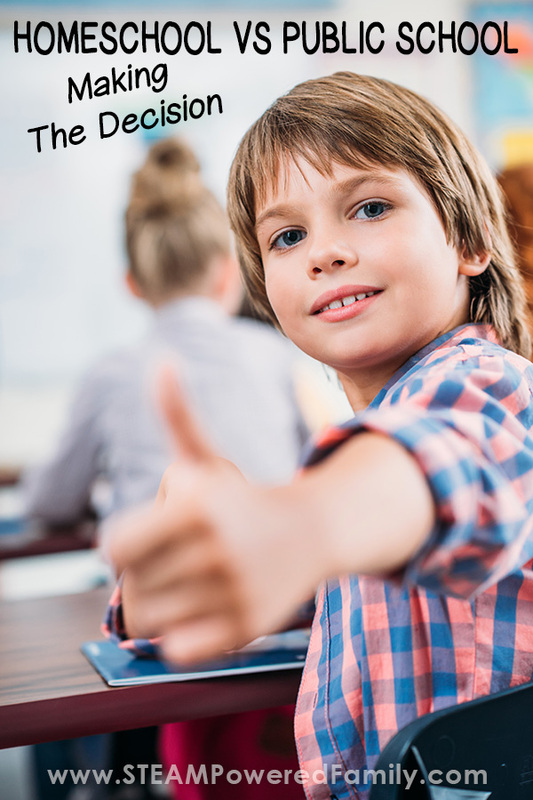 At the end of the day there is no better solution between homeschool and public school. We simply need to find the education model that works best for the child, at that stage in their education journey, so they can realize their dreams, chase their passions, and become the amazing adults they are destined to be.